Engaged by EC Harris for their Client TSB. Working closely with TSB stakeholders for business transformation/change project for TSB Bank in Bristol. 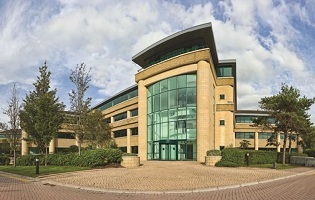 TSB Project Sochi: Keypoint in North Bristol (63,500 sq ft) has been acquired to facilitate the creation of a Mortgage Intermediaries business, in addition to the relocation of all the occupants of Prince Street offices to improve working conditions. Wates are the principle contractor and Mitie the FM contractor. * Note: ARCADIS is the leading global natural and built asset design and consultancy firm working in partnership with our clients to deliver exceptional and sustainable outcomes through the application of design, consultancy, engineering, project and management services.